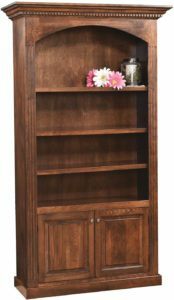 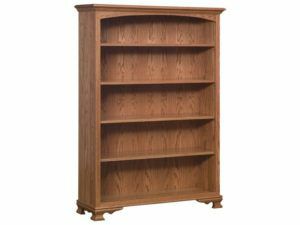 Presenting a collection of Amish Bookcases, which are unlike bookcases normally found in chain furniture stores and big box stores. 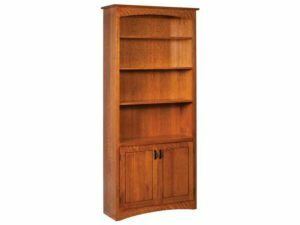 And this is because skilled Amish cabinetmakers custom-build our bookcases. 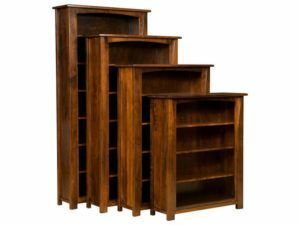 Also, they use solid hardwoods. 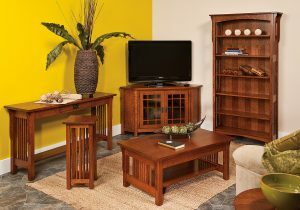 In fact, you won’t find bargain substitutes like veneers and particle board. 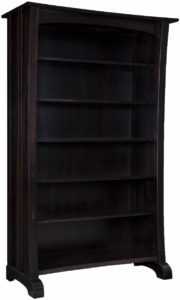 So our bookcases are incredibly sturdy. 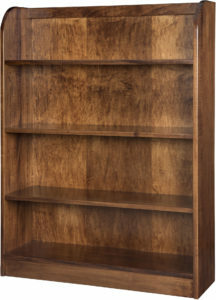 That’s why, with proper care, they should last for generations to come. 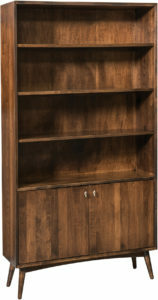 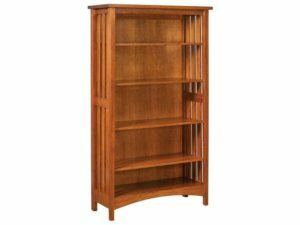 So browse our huge online collection of wooden bookcases. Or visit our ‘brick and mortar’ store in picturesque Shipshewana, Indiana. 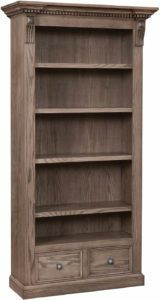 And see them for yourselves. 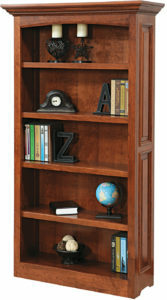 All the bookcases in our impressive lineup have one thing in common. 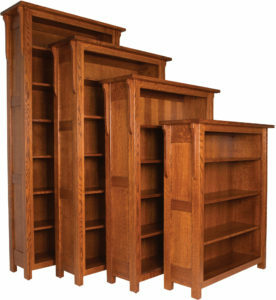 They’re Amish-made from solid hardwoods – like oak, cherry and maple. 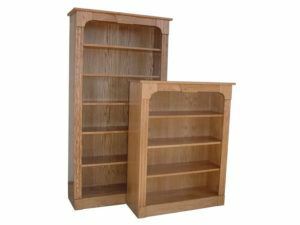 Apart from that, our collection is so varied, you’re sure to find the perfect bookcase(s) for your home or office. 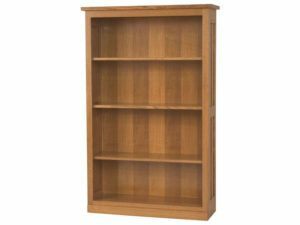 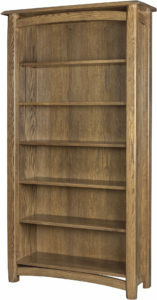 We offer bookcases in a wide range of sizes – from small, two-shelf units to large bookcase wall units. 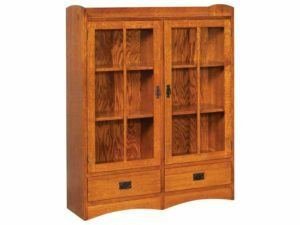 So you’ll find bookcases that will work in your living room, library, home office, hallway – or bedroom. 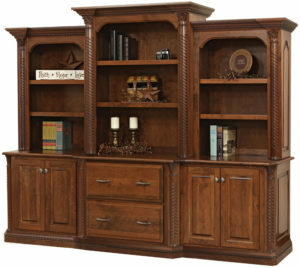 What’s more, you can select from a vast array of styles and features. 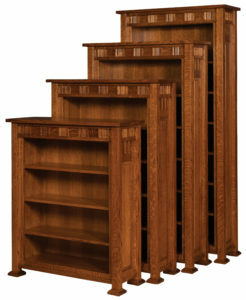 Like bookcases with mullion glass doors. 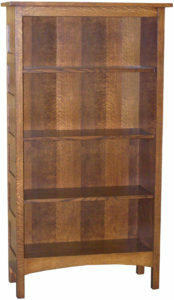 Or others with open back and slatted sides or integrated hutches. 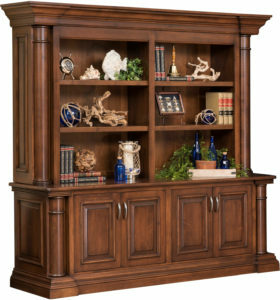 Also, you can find some with features like decorative corbels, wood inlays and grand crown moldings. 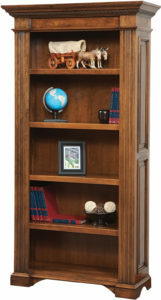 So browse our collection. 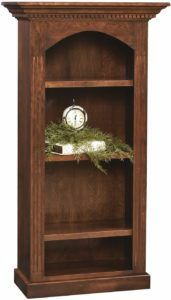 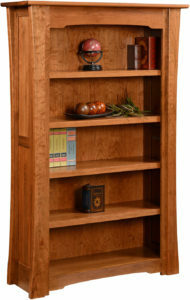 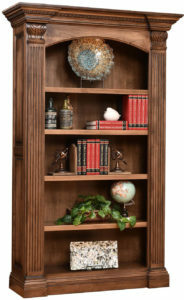 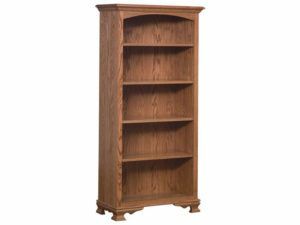 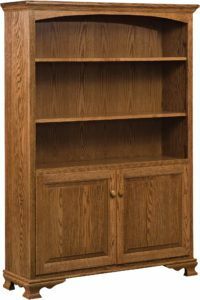 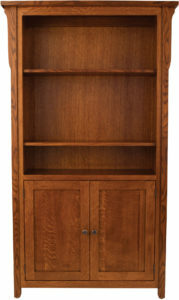 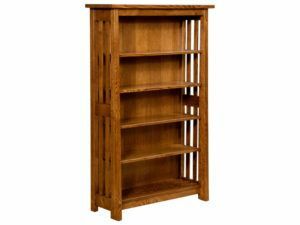 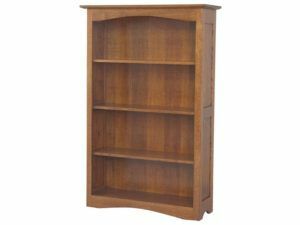 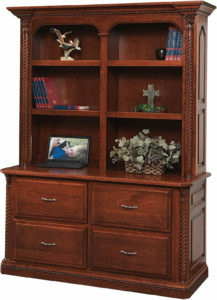 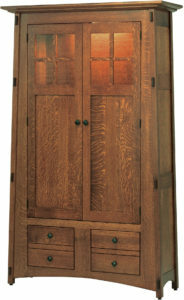 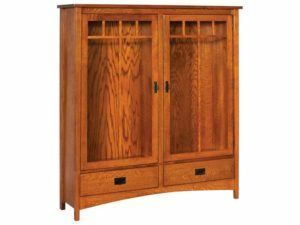 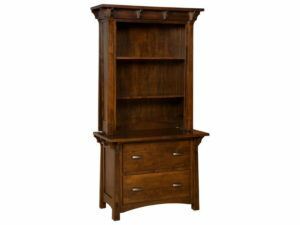 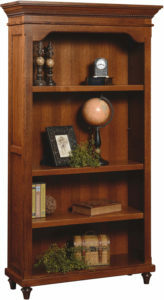 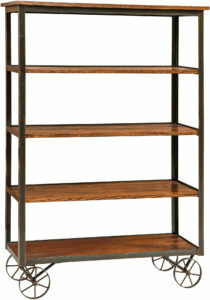 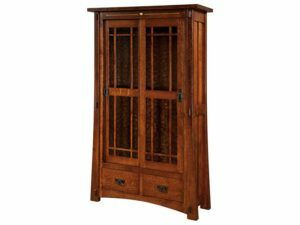 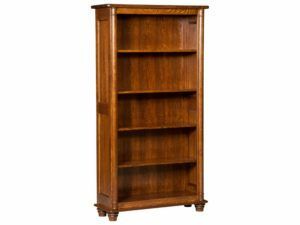 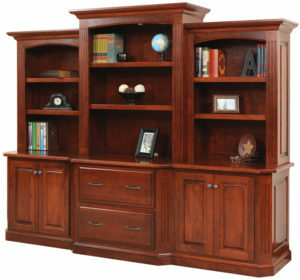 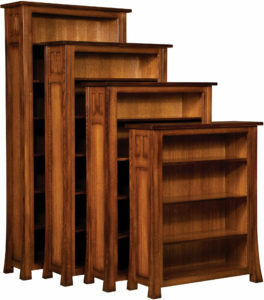 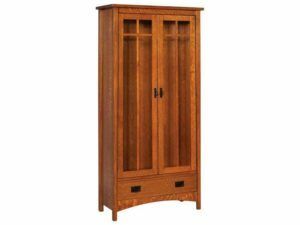 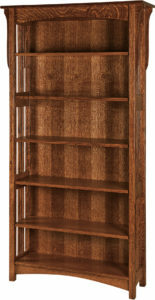 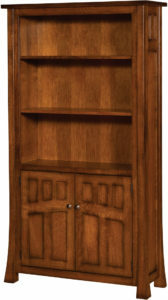 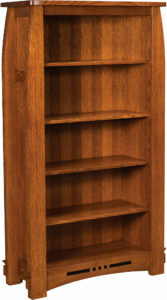 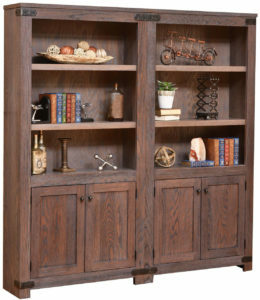 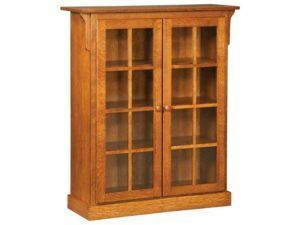 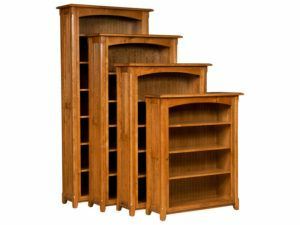 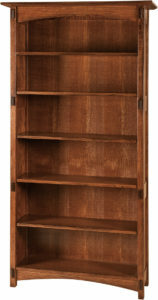 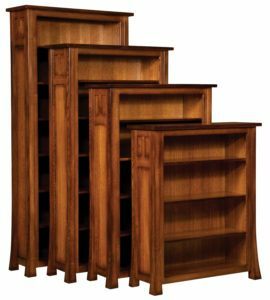 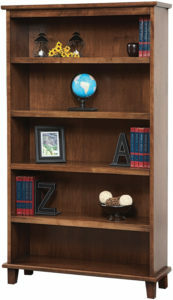 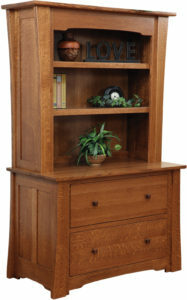 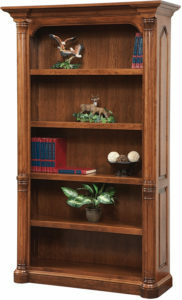 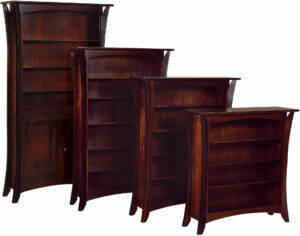 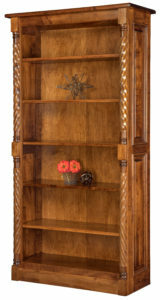 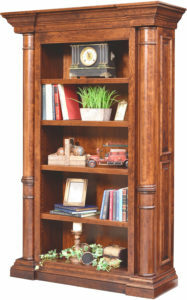 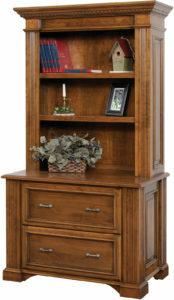 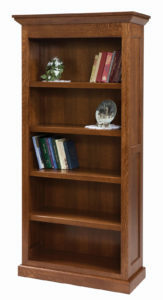 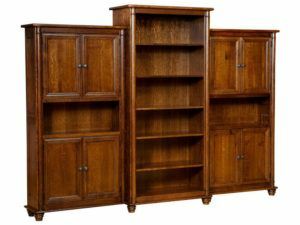 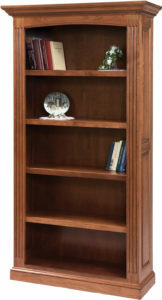 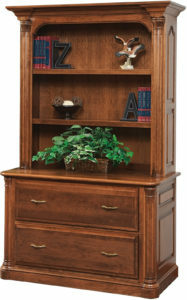 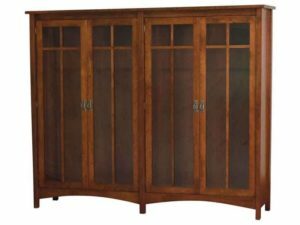 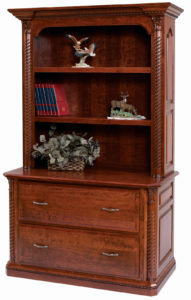 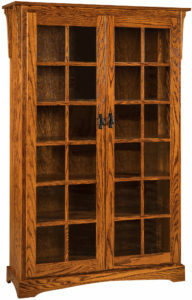 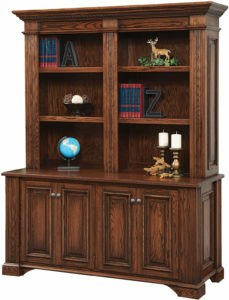 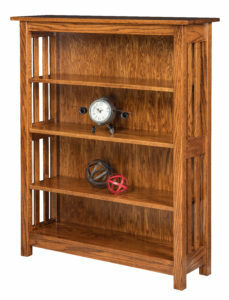 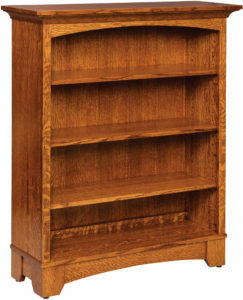 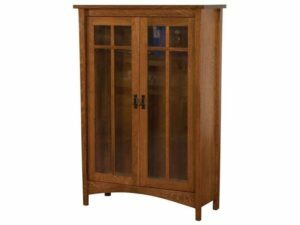 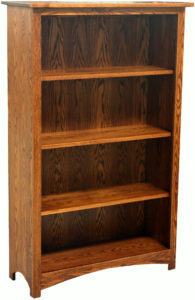 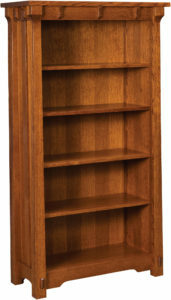 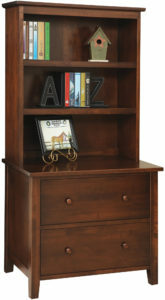 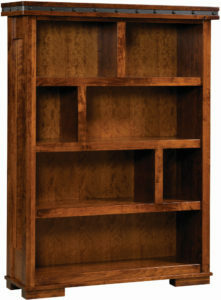 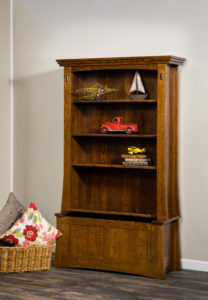 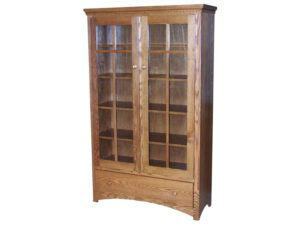 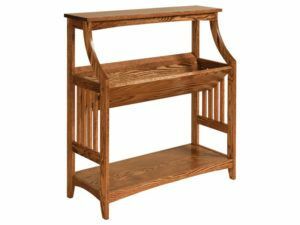 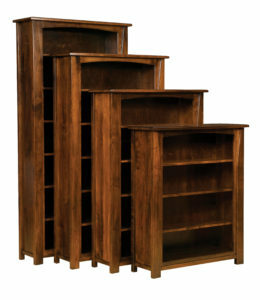 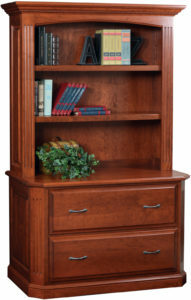 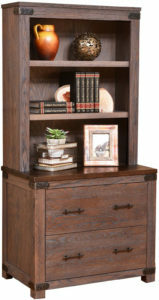 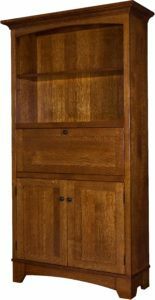 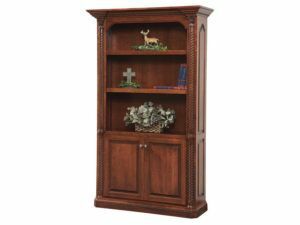 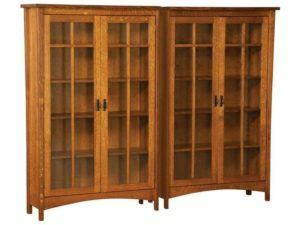 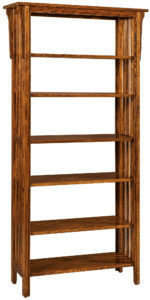 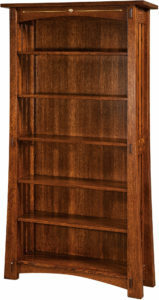 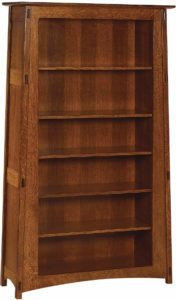 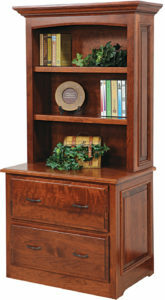 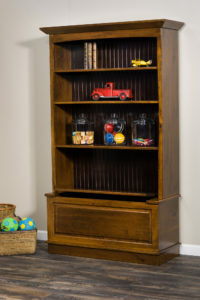 And have fun narrowing down your choice for a top-quality, incredibly beautiful solid hardwood Amish bookcase.